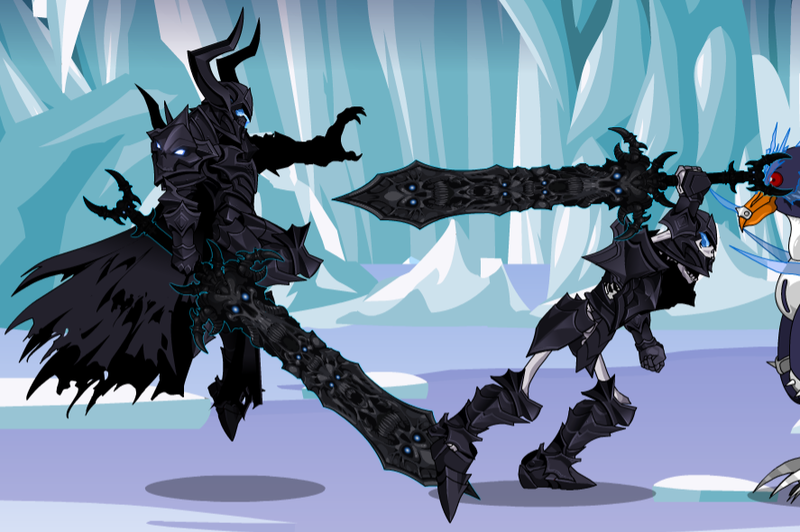 The exclusive Necro Paragon Armor, Armor of the Legion, reward for completing the Nefarious Challenges! Effect: After 3 turns, if the skill is an attacking one, it summons 1 extra creature dealing either 1, 2 or 3 hits that range from 200-300% damage. 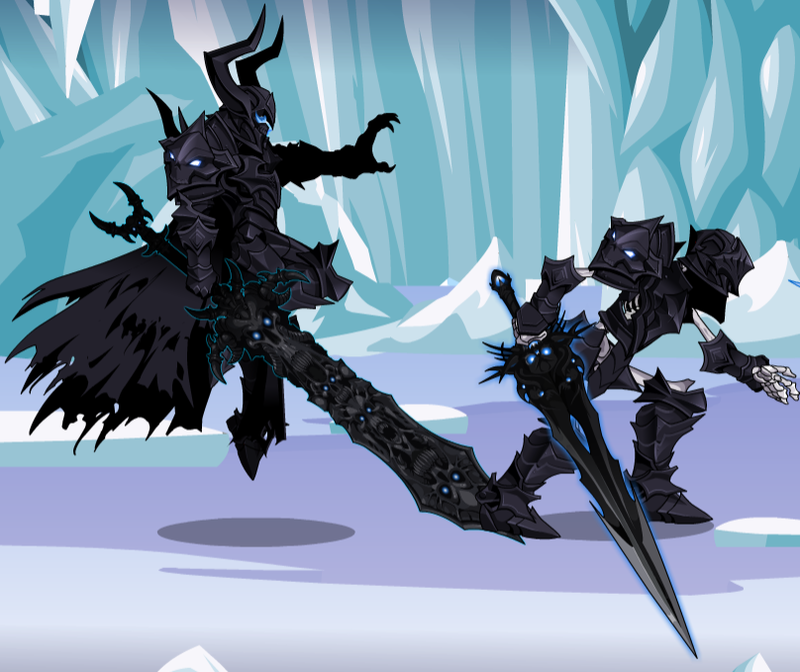 The undead minion summoned through Shadow Seed takes its attack modifiers from the skill that will have it summoned on the third turn. If the skill Inspire Terror is used during the 3 turn wait, it counts as 2 of the 3 turns. Summon effect will be cancelled by Corruption and/or Inspire Terror if either of them is used on the third turn. Shadow Seed's 3 turn wait carries over fights. Effect: Heals 10% of your maximum mana. Effect: Calls a random undead minion. Damage depends on the summoned minion, and the damage applied does not include stat bonuses. Effect: 1 hit of 130% damage to each target. Effect: 120% damage and stuns the target for 3 turns. Effect: 1 hit of 120% damage. Effect: 1 hit of 80% damage. Increases your Boost by 30 and your Bonus by 25 for 3 turns. Effect: 3 hits of 60% damage to the target. Each hit has a 100% chance to crit. Effect: 1 hit of 160% damage to the target. Effect: 1 hit of 100% damage. If dominated: Target is stunned for 1 turn, and attacks itself for its own damage range with the Fear element. Note: The damage that the target does to itself is a DoT effect. If not dominated: Target gains +60% Boost for 1 turn. If used during Shadow Seed's 3 turn requirement, it counts as 2 of the 3 turns. Will cancel Shadow Seed's summon if used on the third turn. Effect: 1 hit of 80% damage. Applies the "Corruption" status that deals 40% Disease DoT to the target for 5 turns. Effect: 2 hits of 40% damage. Applies "Dark Intent" status on the target. The target's Bonus is reduced by 40, and their Boost is reduced by 35 for 4 turns. 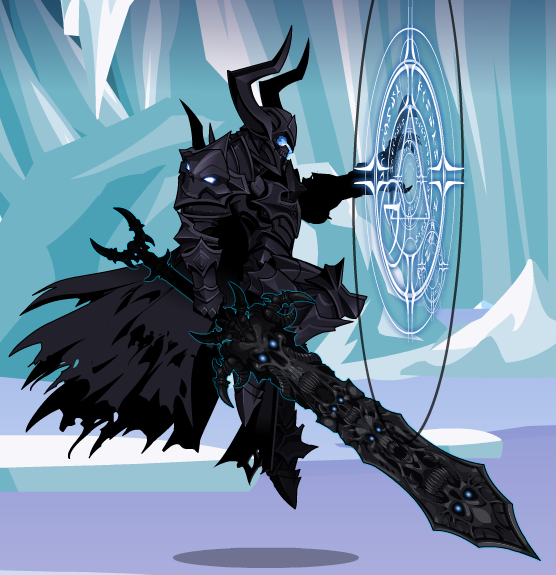 This armor is a reskin of the Necromancer Armor. There are no mechanical differences between them. Every skill causes a DoT effect on your target, lasting 99 turns with the Fear element. Using potions or trinkets will not trigger or increase the intensity of the DoT. The damage of the DoT is calculated based on your equipped weapon. 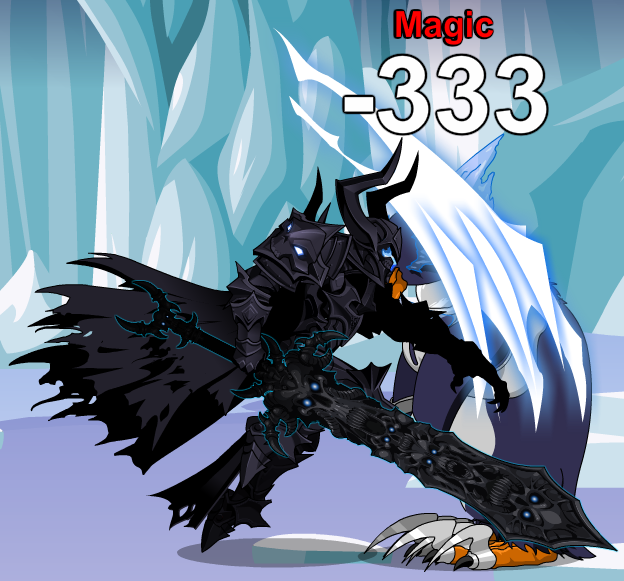 The status effect starts an invisible count at 1 and increases with each skill used (with the exception of potions and trinkets), until it reaches a cap of 20. So, rounded up, if you were wielding a weapon with a 50-75 damage range, after 10 turns the DoT would be doing 25-35 damage. 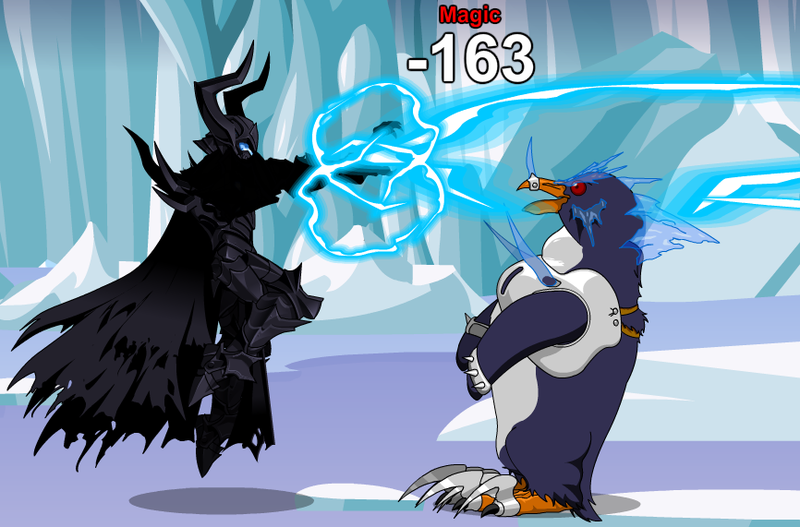 At the start of a battle where any skill is used (except potions and trinkets): Your enemy is unable to defend against your aura of fear! Subsequent rounds: Your aura strengthens as your enemy trembles before you! 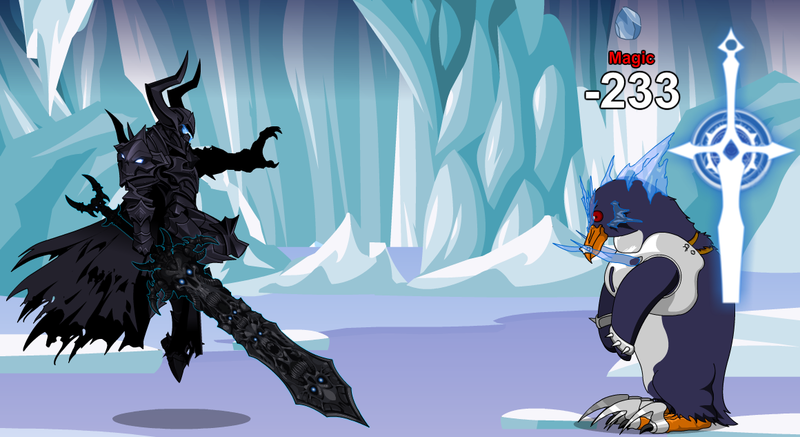 Round 20 and higher: Your aura is at its full strength as your enemy trembles before you! Ash for original Necromancer Armor entry. Gabriela on the DragonFable Discord server for information. 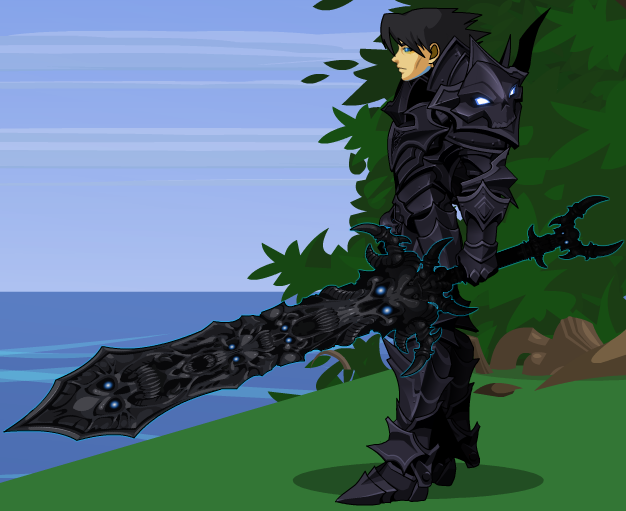 The ErosionSeeker on the DragonFable Discord server for male variant image, appearances and corrections. 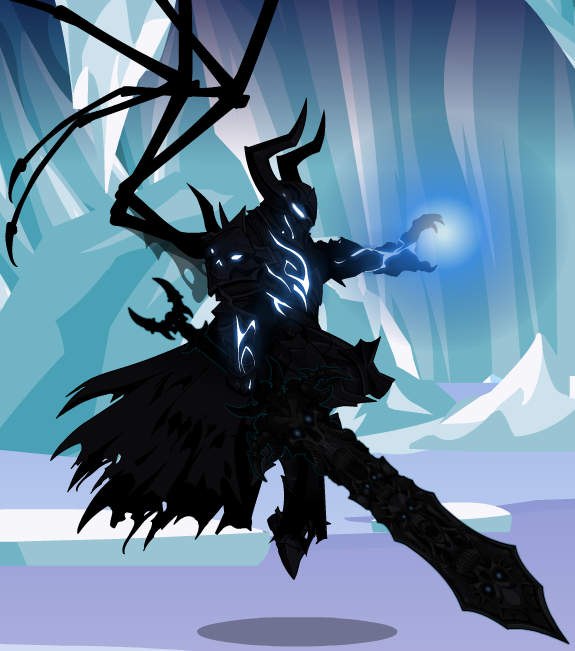 Qwandra on the DragonFable Discord server for female variant image.